Over a decade of professional programming experience, with particular knowledge in Ruby on Rails, Java, C, and agile project management. Pursuing opportunities to make a significant contribution leading a small team in agile development while mentoring junior developers. Developed software for a variety of high-profile clients, including Autodesk, NVIDIA, Riot Games, Luxion, and HP. Created a conference management application which coordinated registration, housing, tax information, seminar and class enrollment, childcare, custom discounts, meal plans, and PDF name-tag generation for thousands of attendees. This was a Ruby on Rails application backed by a PostgreSQL database, with a UI implemented with a highly customized version of Active Admin. Offline processes, such as name-tag generation and email dispatch were delegated to Sidekiq Pro via Redis. Architected an internal ontology server with Adobe Experience Manager to allow a large client to manage shared assets across their global platform. Implemented an ontology server for a client with many departments that independently create marketing and advertising websites to act as a “single source of truth” to ensure these sites all maintain up-to-date copy and assets. This is a custom node.js backed by a MongoDB NoSQL database. It included custom middleware to Authenticate users against the organization's Active Directory server via SAML. Adapted Shopify's storefront to sell digital—instead of physical—goods. This included a custom API server to automatically deliver product keys to end-users upon payment verification, as well as an “embedded Shopify app” to allow the client to manage their serial code inventory directly from Shopify's dashboard. This project required a custom “serial-code provisioner” service implemented in Ruby on Rails and backed by a MySQL database. Serial codes were delivered to end-users with Mandrill. Administration of the serial-code provisioner was implemented through a custom Shopify Plugin, also written in ruby. This allowed administrators to securely manage their inventory in the remote application directly from their Shopify console. Led a Scrum project to replace a disparate collection of legacy REST services with a unified Ruby on Rails service. Implemented a service to communicate the volumetric data returned by millimetre wave scanners to that customer's profile, allowing E-Commerce partners (such as Levi's or Bloomingdale's to pre-select the garment size which fits them exactly. Created an E-Commerce Wordpress plugin to enable REST access to an the automated garment-fitting service. Incrementally improved legacy REST services to meet changing business requirements. Developed an AngularJS extension to allow partners to embed a profile creation wizard in their own E-Commerce site, allowing their users easy access to our garment-fitting service. Implemented control and user-interface software so the custom hardware our client, Pason Systems, created for the operation of land-based oil derricks, including the Automatic Driller, Electronic Drilling Recorder, Enhanced Pit Volume Totalizer, Rig Display, and SideKick. Created many custom, skeuomorphic UI widgets to emulate the physical equipment which our Java applications replaced. 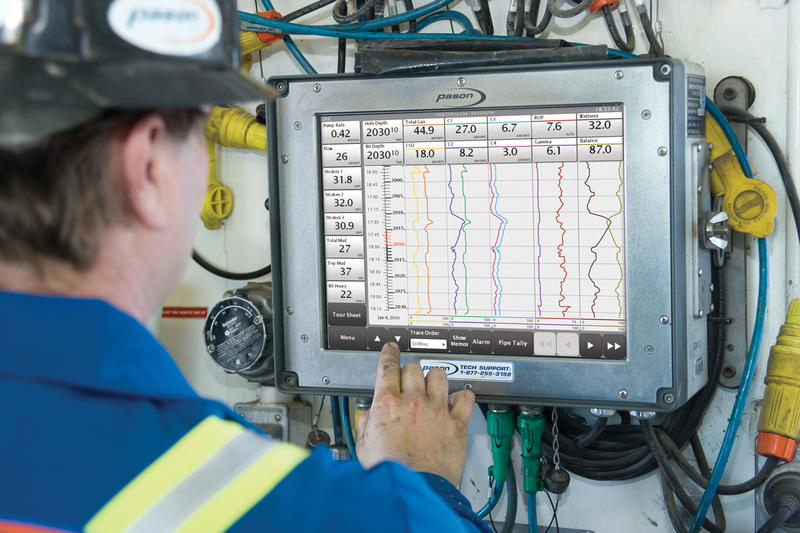 Led a Scrum project to replace a simple drilling recorder with a touchscreen charting interface that supports multiple lanes and several traces per lane. Developed a module for the “Automatic Driller” system to safely stop the drilling operation if the Driller fails to stop it before the Kelly drive reaches the drill floor. Held the role of “Backup Client/Server & Reporting Domain Lead:” the first consultant to become a Backup Lead for one of our client's domains. Code Support on five UNIX applications and Application Support of nine UNIX applications and one Windows application. Developed a Java service to incorporate legacy telecom systems into Bell's One Bill service. This project earned a perfect 10/10 in each of the twenty categories of the Client Satisfaction Assessment Program (CSAP) report. Recognized via the Kudos program for my work on this project. Involved in the local Java Special Interest Group and occasionally presented a seminar on introductory UNIX/Linux skills to newer employees. Provided support for all forms of technology on the university campus. Helped in 2005–2006 to launch the WebFX Open Source initiative, which updated all the lab computers on campus to dual-boot Linux along with Windows XP. A RubyGem to create ffmpeg filter graphs, to facilitate complex audio/video processing on Ruby on Rails application servers. Convert images to a format suitable for the PCD8544 LCD controller. A convenience library for developing projects with AVR microcontrollers. A machine which automatically waters and plant and controls its growlight on a schedule. A toy Pong “arcade machine” using an Arduino, the LCD screen from the indestructible Nokia 5110, and simple components. A RubyGem which provides a simple API for parsing General Transit Feed Specification (GTFS) files. A Rails Engine which adds a RESTful API for GTFS feeds to a Ruby on Rails host application. A RubyGem for Ruby on Rails to render JSend-compliant JSON responses. A Textile parser for CodeMirror, the in-browser code editor. A RubyGem which generates Perfect Paper one-time passwords. Completed 108 credits toward a Bachelor's Degree in Computer Science. Summer Research Assistant of department chair, Dr. van Bommel.